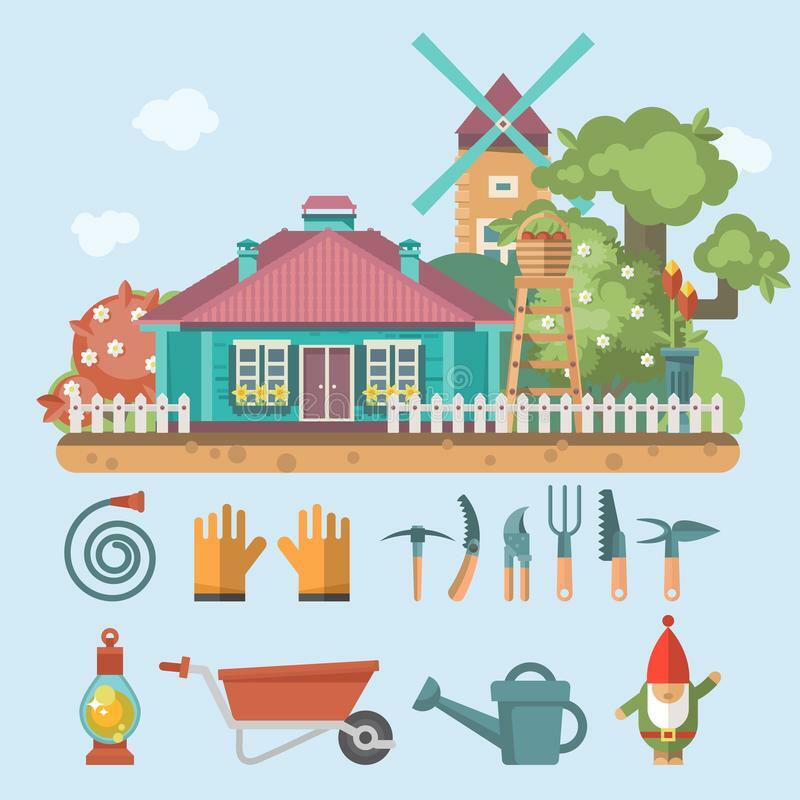 This comprehensive guide has been written by our gardening expert. People used to think that in order to successfully grow a garden they needed to have a big yard and ample space to work with. Homeowners with smalls yards and people in town houses, small apartments, or rental properties were at a disadvantage lacking the outdoor space and often times the permission to dig up a chunk of ground and use it to plant vegetables. 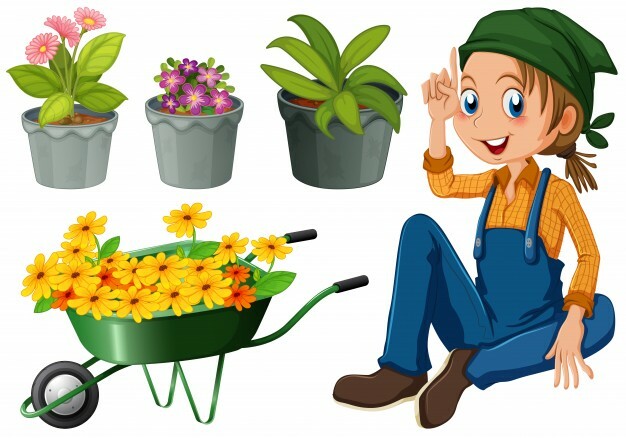 Over the last couple of decades container gardening, the practice of growing plants exclusively in containers instead of planting directly in the ground, has become increasingly popular. How to Start with Container Gardening? Compared to traditional gardening, container gardening is a much easier endeavor to embark upon. There’s no need to work up large patches of the yard, or spend days (or weeks) amending the soil to get it ready to plant. One of the very first things you need to do before you start pulling together your supplies is to assess the light in the location you want your containers. It’s okay if the spot only has a couple hours of strong sunlight every day, it’s okay if it receives dappled shade most of the day, and it’s even okay if the sun blazes on that spot all day long. What’s important is that you exactly know how much sunlight that location gets during the growing season, and what part of the day it gets the sun. Once you determine how much light your pots can get during the day, you can then start working on the actual gardening part of container gardening. Before buying plants, you’d be well suited to figure out what containers you’d like to use and purchase the necessary supplies. Buying the containers first will allow you to better gauge how many plants can be purchased. Choosing containers is a great place to let your creativity shine! There is no right or wrong container to use; pick what you like, and you can always find creative solutions to make growing vegetables easier. 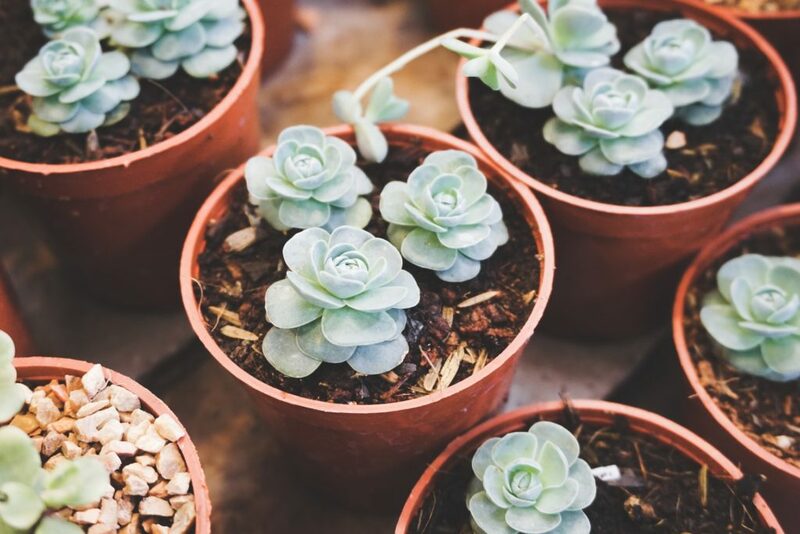 There are two primary things to take into consideration when deciding on containers for your plants: container size and what materials they are made from. In this case it’s best to go with the biggest containers you can possible use. A larger container can hold more soil, and more soil means more water and nutrients in close proximity to the roots of the plants. Smaller containers will also dry out quicker, making it so you have to water more frequently. A little bit of thought needs to go into choosing container shapes. 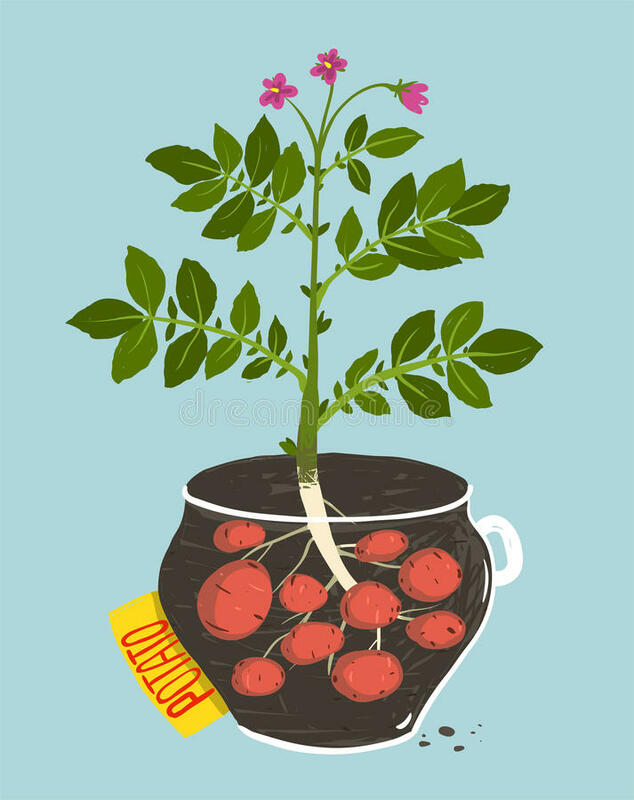 Shallow rooted veggies like radish and different lettuce varieties can be grown in shallower, wider containers where vegetables such as potatoes and tomatoes will need deep containers, allowing their roots more space to spread out through the soil. Plastic or fiberglass pots are lightweight and come in a variety of sizes, colors, and shapes. Their inexpensive price tag helps to keep your out of pocket expenses lower. When purchasing plastic or fiberglass pots look for ones that feel sturdy and are slightly flexible. These will withstand time and the seasons better than ones that are thin and rigid. Terra cotta is the time honored, traditional material used for pots. They are breakable, and heavy, so care must be taken so they do not crack from freeze/thaw cycles. Line terra cotta pots with plastic liners to keep the clay from sucking moisture out of the potting soil. Cast concrete containers are incredibly durable and withstand weathering well. The drawback is that they are really heavy, and might not be usable on balconies or decks because of this. Polyurethane foam planters are a lightweight alternative to terra cotta and cast concrete. They weigh up to 90% less than terracotta or concrete while still looking similar in aesthetic. The foam containers also provide some insulation to the roots, making them a good choice if they will be left outside year round. Fabric containers are a good choice if you have limited storage space on the off season. They come in a variety of sizes, and fold up for storage when they are empty. Avoid using metal containers until there’s something you absolutely have your heart set on. When sitting in the direct sun, metal will heat up, and cause the soil to experience wildly fluctuating temperatures. Line them with plastic to protect plants. You’ve heard it time and time again…when container gardening it is important to start off with good potting soil. Every article about planting in containers mentions this, so let’s talk a little about what it means and why it’s important. 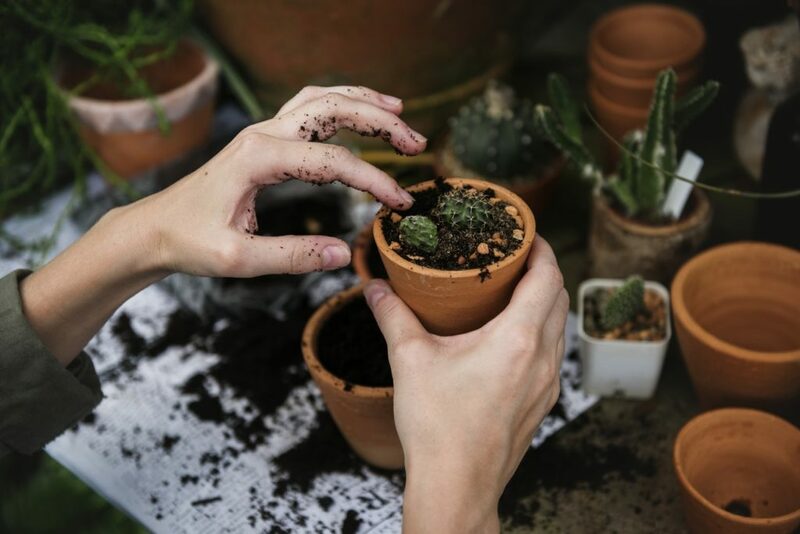 Potting soil acts as a reservoir for moisture and nutrients around the roots of the plants, it provides “empty” space for air around the roots to allow them to breathe, and it supports the plants by anchoring the roots. If you start by filling your pots with a poor-quality potting mix, it’s not going to hold moisture and nutrients, and it won’t have the right structure to anchor the roots while letting them get enough oxygen. Commercial potting soil mixes are a blend of ingredients, typically comprised of peat moss or coconut coir, pine bark, and either perlite or vermiculite. The peat moss and pine bark will provide moisture and nutrient retention with good air space for the root system. Perlite and vermiculite are both extremely light, helping to keep a potting mix from getting too heavy while adding extra pore space for oxygen. Plants can be started from seed or you can buy established seedlings from a nursery or garden center. Both options have advantages and disadvantages, making it necessary for you to determine which is best for you. Seeds are cheaper to buy but take more time and commitment; seedlings are more expensive but convenient. Choose plants that have sunlight requirements fitting for your space (full sun, partial sun, partial shade, full shade). Buying plants that look healthy will help eliminate problems down the road. If planting ornamentals, mix heights and colors to create stunning displays. 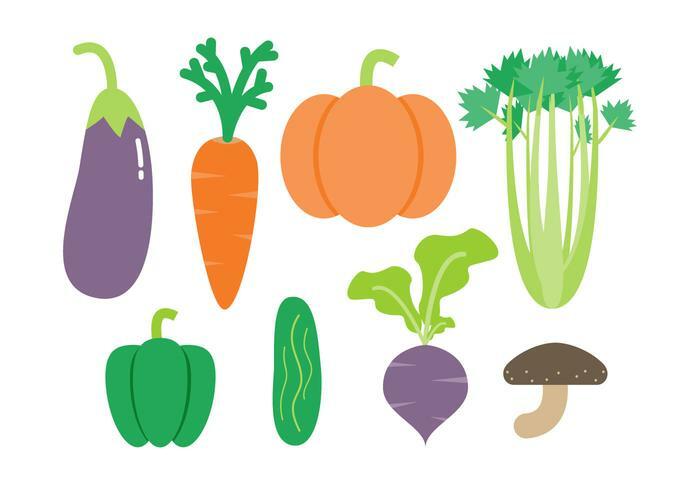 If planting vegetables stick to plants that you and your family will eat. Now the easy part! Compared to the rest of the process, planting your plants is the simplest and least time consuming part. If you are planting large containers fill them with potting soil in their final location so you don’t have to move a heavy pot. Fill containers with potting soil to within 1-2” of the rim. Carefully remove plants from their nursery pots. Arrange the plants within the container, making sure to give them enough space to grow to their mature size. Dig holes in the potting soil slightly bigger than the mass around the roots. Place plants in holes and fill in with potting soil, so the original soil from the nursery pot will be an 1” or so below the soil surface in the new container. Water containers until water starts draining out the bottom. Add more potting soil if depressions occur after watering. The last few years, gardening has been on the upswing again. 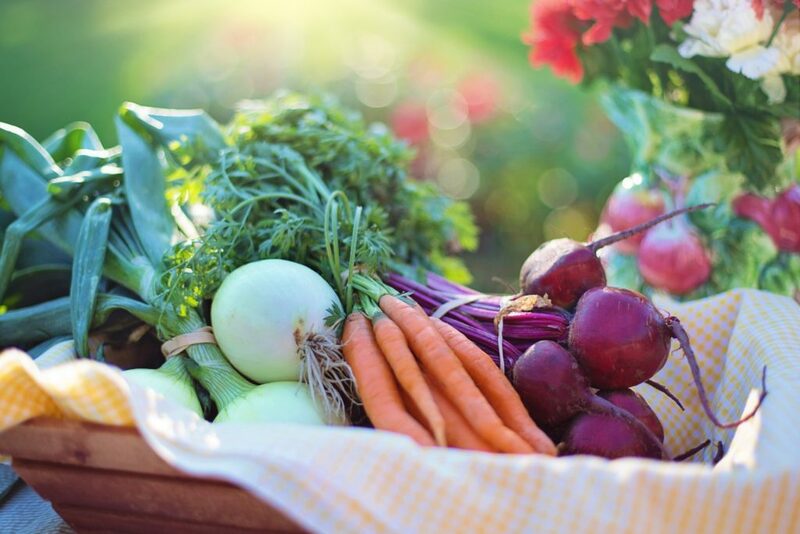 More and more homeowners are trying their hand at vegetable gardening to grow their own fresh vegetables; being self-sustainable allows them to know exactly everything that was applied to the soil and/or plants, and produces higher quality, better tasting food than can typically be purchased in the supermarket. People choose to start container gardening for a myriad of reasons. Sometimes they aren’t sure if they are going to like gardening and don’t want to commit to tilling up a large section or their lawn, so container garden is a gentle way to try it out. 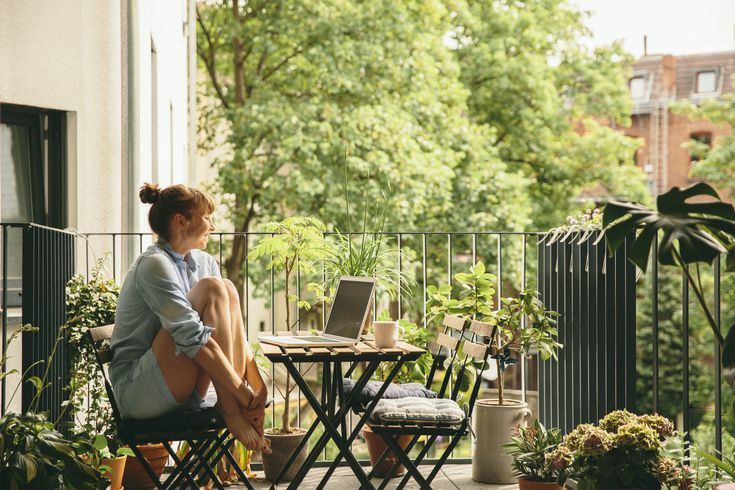 Sometimes they just don’t have the outdoor space because they live in an urban area, rent a home, or live in an apartment and need a creative solution to a problem with lack of space. 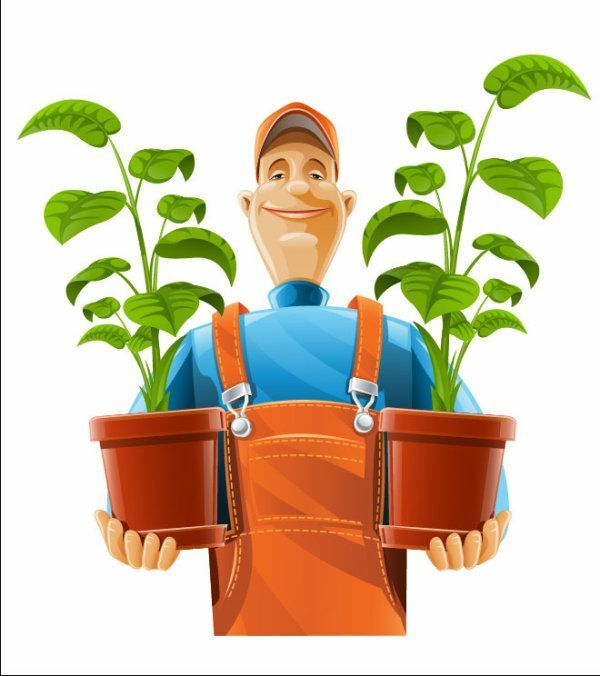 Regardless of the reasons why people start container gardening, most quickly come to understand that is has many advantages over traditional in-ground gardening. These advantages are even persuading gardeners to grow food in both containers and conventional growing plots. Container gardening is an easy way for a novice to try growing their own plants. Worse case scenario, if you don’t find gardening enjoyable you’re not looking at the task of re-landscaping your garden plot. It is a great addition to the interior of the home. It can be a great family activity, especially if you have kids. Seeing the plants grow teaches children basic biology concepts, it gives the family an activity to do together, and it may encourage family members to try new foods. Having plants in containers means it is simple to change the configuration of your “garden” or modify the layout. At any time you can add more containers, move them to a new location, or get rid of some that aren’t working out well. Movable containers also allows more precise control over sun exposure. Plants can be moved during the day or over the course of the growing season to follow the path of the sun, or can be moved to a slightly shaded area if the midday sun is too intense. Container gardening has a lower incidence of weed problems, cutting down on the manual labor you need to expend. Disease problems are easier to manage. They occur less often and spreading between plants is curbed. It is also easier and more economical to treat one container than an entire in-ground garden. There is less trouble with animal pests. Deer, rabbits, raccoons, birds, etc. will be hesitant to approach the containers because of the proximity of residential dwellings and humans. Tips and tricks always help to make a new project run a little smoother, and even pros can sometimes learn something new. Keep these things in mind when you are container gardening to help make your project successful. Use light colored containers if you live in a hot climate. They absorb less heat and will keep the roots cooler. Do not add gravel or pot shards to the bottom of your containers. It’s been scientifically proven that it does not increase drainage. Grow dwarf varieties if they are available. They usually yield a similar amount to full size but will let you plant more in the same amount of space. Fertilize plants more frequently than traditional garden plots, but at a reduced rate. The smaller amount of potting soil around the roots of container plants means they don’t have access to a large reserve of nutrients. Keep your plants free or dead or diseased foliage. 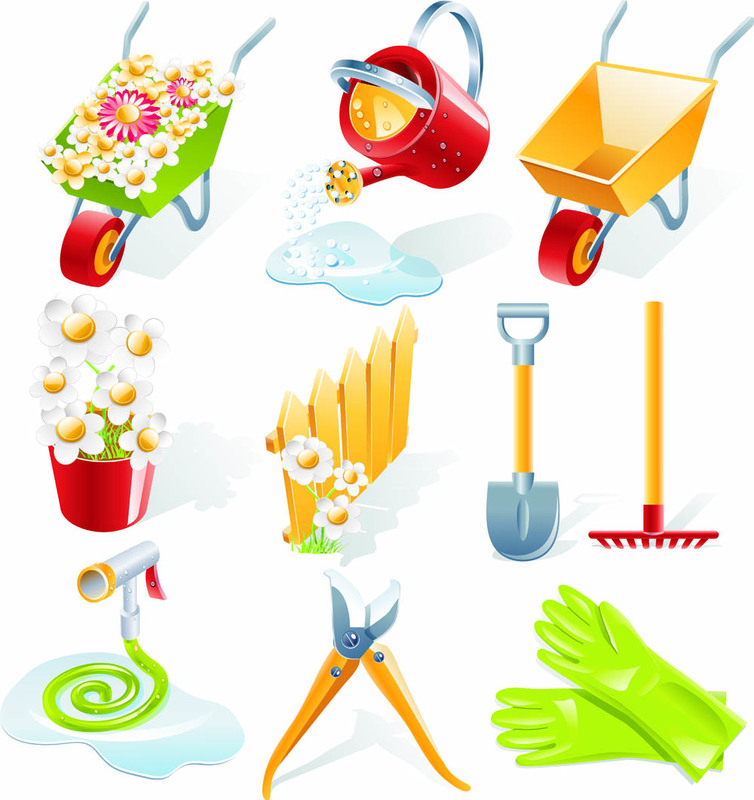 Remove the deceased/diseased tissue using a pair of sharp gardening shears that you have disinfected. Apply a layer of mulch across the top of the potting soil, keeping it about 1” away from the stems of plants. Mulch will help to retain soil moisture. Place heavy pots on wheeled plant caddies to make moving them around easier. Use a hand-held cultivator to gently aerate the top layer of soil without disturbing the plant roots. Vegetables are surprisingly a great choice for container gardens, especially beginning gardeners. Even when working with a limited amount of space you can be surprised at how much food you can harvest from a couple of plants. Some veggies are better suited to grow in containers than others; if you are just beginning to container garden here are some of the best to start with. Beans – Both bush beans and pole beans will grow well in wide, shallow containers, providing you offer some sort of support for the pole beans. Bush varieties “come on” all at one time; pole beans produce beans throughout the season. Carrots – Surprisingly successful, growing carrots in containers requires deep planters that will accommodate the long roots. Make sure to use a light, airy potting mix to prevent misshapen vegetables and keep them watered well to prevent cracking. Garlic – When people think about gardening garlic isn’t something they typically think about growing, but it’s really quite easy to do. To grow your own, either start with organic garlic from the supermarket or seed garlic for the best results. Greens – Lettuce, spinach, swiss chard, kale and many other green are great options for container gardening and do well in wide, shallow containers. They are some of the easiest plants to grow, seeds are economical, and they go from seed to edible leaves quite quickly. Peppers – Coming in just behind tomatoes in popularity, both bell and hot peppers are great veggies to grow in containers. Early in the season plants benefit from the warmer soil of a 2-gallon pot; when laden with fruit in late summer, the containers can be easily moved to a protected spot to prevent branches from snapping. Radish – Use wide shallow pots such as window boxes to start seeds in the spring or fall. Radishes prefer cooler temperatures for growing. Within as little as three weeks this quick growing vegetable can be ready to harvest. Tomatoes – One of the most commonly grown vegetables — both in containers and traditional garden plots — tomatoes do best in locations that receive at least 6 hours of direct sunlight daily. Choose large containers to accommodate extensive roots systems. Aim for a container that can hold 15-20 gallons of soil with a span of 18-24” across. One of the really fun aspects of container gardening is coming up with creative container ideas. 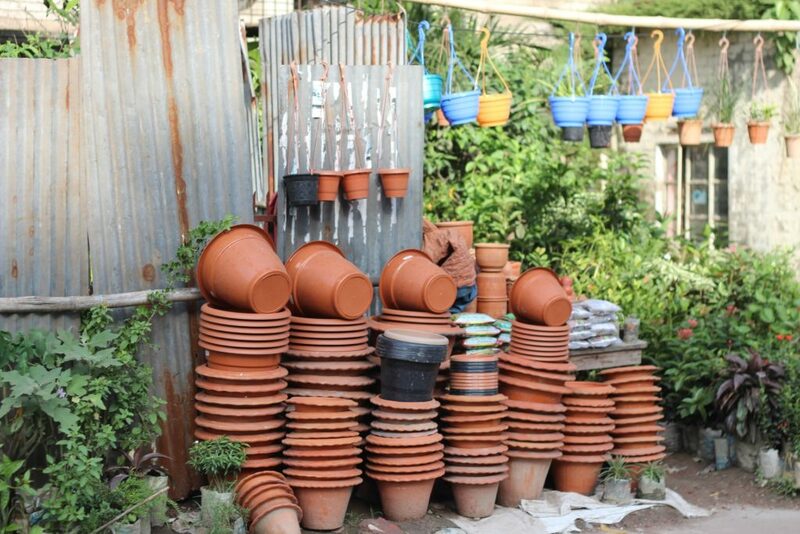 You can take just about anything you’d like as long as it will hold potting soil, and turn it into a pot for plants. This is a great way to add some whimsy to your yard. A vintage birdcage looks elegant and chic when lined with a coconut fiber liner and then planted with succulents or annuals. Hang from a low lying branch or shepherd’s hook. Metal watering cans belong in the garden anyway! If you have a can that doesn’t function anymore, fill it with potting soil and add some plants to the opening at top. This works best if you can find a watering can with an open top. Old suitcases or steamer trunks make interesting planters too. You can line them with plastic and then fill with potting soil, or set large containers down inside to hold soil for plants. Spring fairy gardens are great kid-friendly projects. Combine real life plants with fairy accessories to create a mini, planted playspace. Vintage bicycles are given a second life when their baskets become the home for container plants. Add some trailing plants or vines to cascade down over the front wheel. If you’re feeling really adventurous add a coat or two of your favorite color spray paint to the bike before planting. Tools of the trade make any project a little easier, and container gardening is no different. 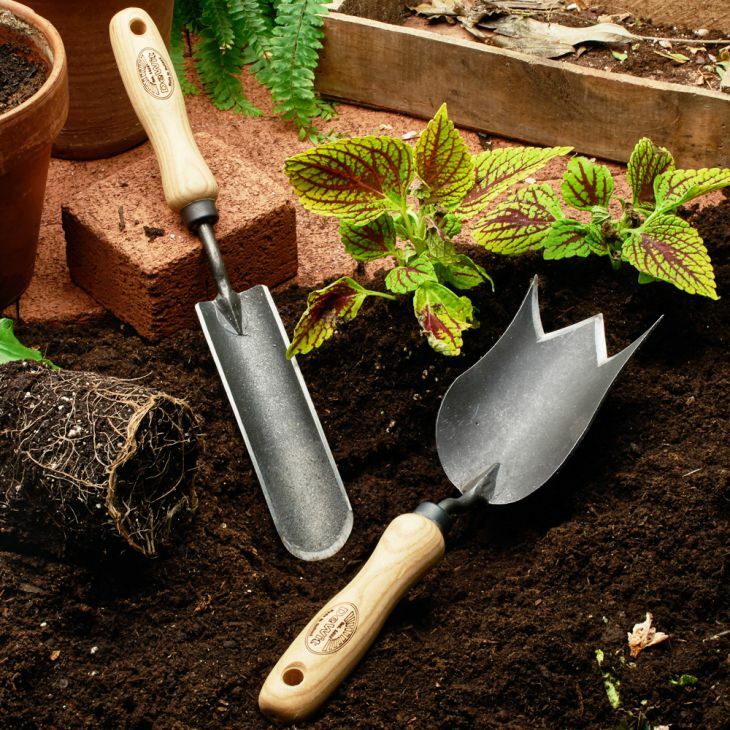 Besides containers and potting soil there are some gardening tools that you should have on hand. This breakdown will help to give you a better understanding of what tools you need, and what you should look for when purchasing them. 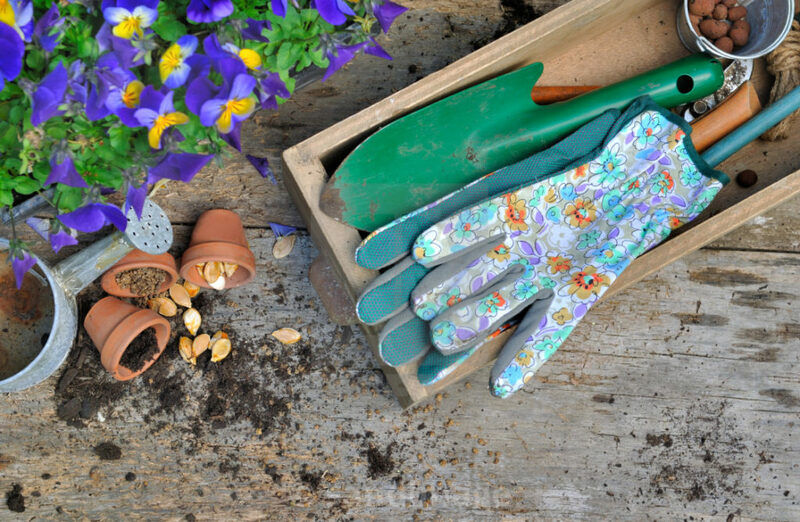 A hand trowel is probably the single most important tool you need for container gardening. They make quicker work of planting young plants and bulbs, and digging small holes. A garden trowel has a pointed, scoop-shaped metal blade with a short wooden, plastic or metal handle. 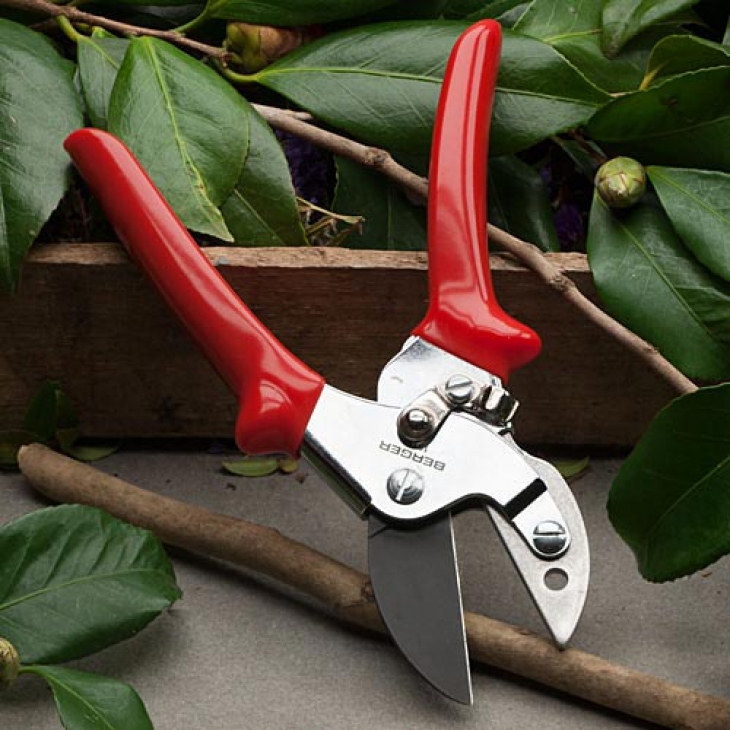 Hand pruners are essential for a variety of cutting jobs. Look for a pair with a safety catch that holds the blades closed when not in use. Bypass blades cut with a motion similar to scissors and are preferred to other varieties because the cuts heal quicker. 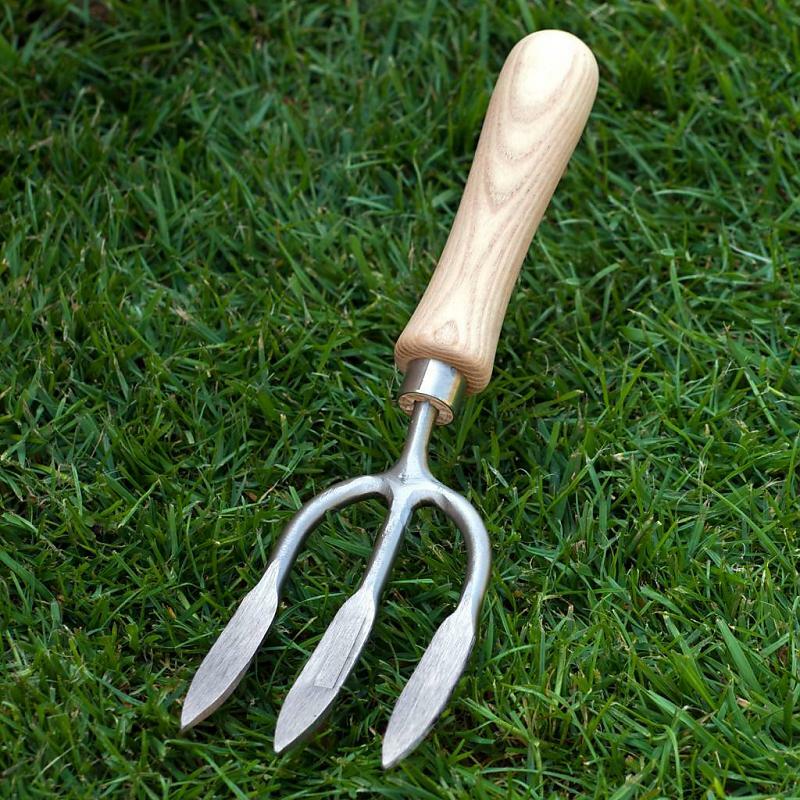 A hand fork or hand cultivator is useful for weeding and aerating the surface of the potting soil. The short handle makes it good for breaking up the soil surface or mixing in amendments such as fertilizer. Even if you set up an irrigation system, or have self watering containers, it’s still a good idea to have a good watering can to use. 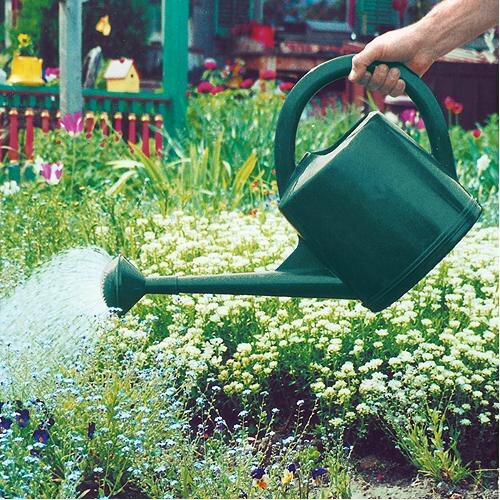 Watering cans are helpful when planting seeds since they provide a gentle amount of water. Both metal and plastic are suitable materials for a quality watering can, but metal can rust over time. Gardening can be messy, and some people prefer to keep their hands clean (within reason) when working with their containers. 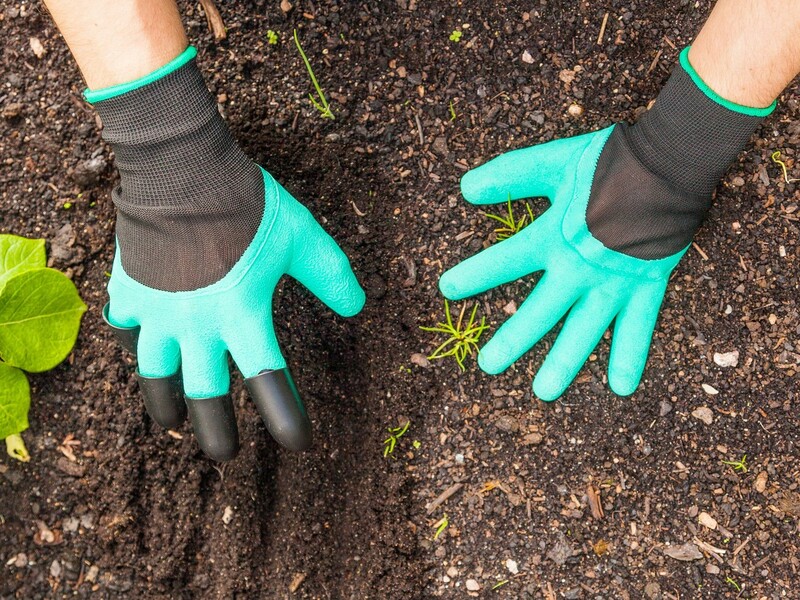 Gardening gloves are a great asset to have when you’re mixing potting soil, filling containers, pruning plants, or pulling weeds. Fine Woodworking — What’s the Best Wood for Planter Boxes? Horti Daily — Seeds vs. Seedlings: What is Better? 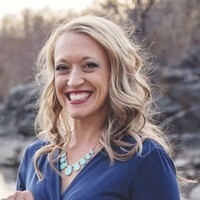 Amanda Shiffler is a freelance writer and web content creator with a love for gardening, agriculture, and all things plant related. With an M.S. degree in agriculture and over a decade of experience gardening, she combines her plant knowledge and knack for writing to create quality content for her clients. You can see her work online at Disruptor Daily, DIY Everywhere, Wise Orchard and Consumersbase.